‘Snack Foods’ from the Past. When you eat your Smarties do you eat the red ones last?” “How do you like your coffee? Crisp!” “Sometimes you feel like a nut, sometimes you don’t!” “Double your pleasure, double your fun!” “Taste the rainbow”. Snack foods I believe are taking over the planet. They’ve certainly commandeered the grocery stores. While all the good stuff can be found on the outside aisles of most supermarkets, the inner lanes look like set designs for a Willie Wonka sequel. There are dozens of options for the serious snacker just on the potato chip shelves alone – barbecue, salt and vinegar, lightly salted, sour cream and onion, ketchup, baby back rib and the Lay’s Canadian contest winner for 2013, Maple Moose flavor (which I hear is being pulled because we really did not favour the flavour). We like to think that we invented snacking – but the phenom has been with us for quite some time. In the first decade of the last century, those World Fairs were starting to introduce all kinds of new foodstuff to a hungry public. Hamburgers, hot dogs, waffle cones, Dr. Pepper and cotton candy (your carnival food staples) were making an impact not only during the expos, but certainly afterwards. Pizza, our beloved fast food staple, first came to North America in 1905 when Lombardi’s opened its doors in New York City in 1905. 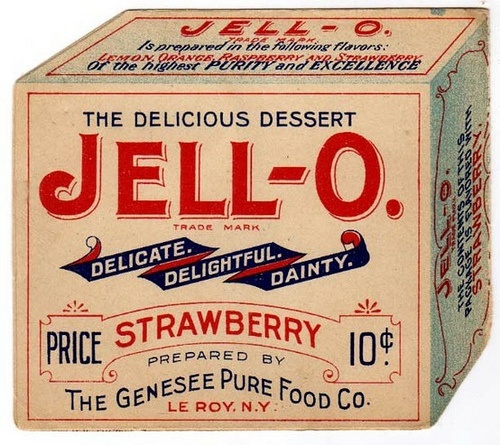 “America’s most famous dessert,” according to the Ladies Home Journal, jiggled its way onto plates back in 1897; Jell-o was a quick hit with strawberry and cherry flavors, while coffee and cola did not last out the year (Jell-o trivia alert – the company offered each new immigrant stopping at Ellis Island in New York harbour in 1903 a free bowl of the dessert as a “Welcome to America!” gift). One candy that came from that decade that frankly should have gone the way of coffee Jell-o are those icky chalk conversation hearts that some poor soul still thinks is okay to give at Valentine’s. The next decade saw the invasion of the Oreo cookie, originally sold as part of a three-pack (the other two were the Mother Goose and the Veronese, but they were soon let go as the real star was the chocolate sandwich cookie). Oreos were sold in glass jars for twenty-five cents a pound. Lifesaver candies also made their debut in 1912, but they did not get their hole-in-the-middle until 1925, which begs the question – how were they a lifesaver without the hole in the middle? By the 1920s snacks were just gaining their stride. Prohibition was sucking the fun out of a lot of things, so naturally candy and chocolates stepped up to the plate. 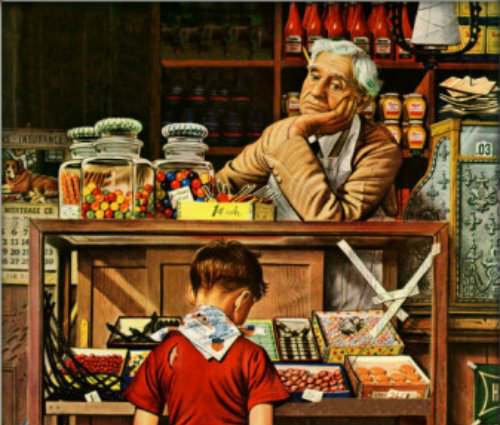 Oh Henry’s, Mounds, Mike and Ike’s, Reese’s Peanut Butter Cups, Nestles Drumsticks and Popsicles all became popular with a public whose sweet tooth was in full development. Marshmallow Fluff and Kool-Aid rounded out the decade (and apparently many a behind). Things were tough in the 1930s. The Great Depression was in full swing. Companies were motivated to create affordable food from cheap products and they were quite successful. Twinkies, Snickers, Frito’s and Lay’s potato chips got their start during the height of the crisis. Just a side note on potato chips – according to popular lore, in 1853, millionaire Cornelius Vanderbilt was lunching at a restaurant in Saratoga Springs (and acting like a royal pain in the you-know-where). He ordered french fries but sent them back because he thought they were too thick – he did this little stunt no less than three times. The by-now furious chef whipped out a potato peeler and proceeded the shave slim strips off a potato; he immersed these discs in hot oil, making them super crispy. He doused them in salt and served them personally to the snooty millionaire who ate every one of them declaring they were the best thing he had eaten in years. 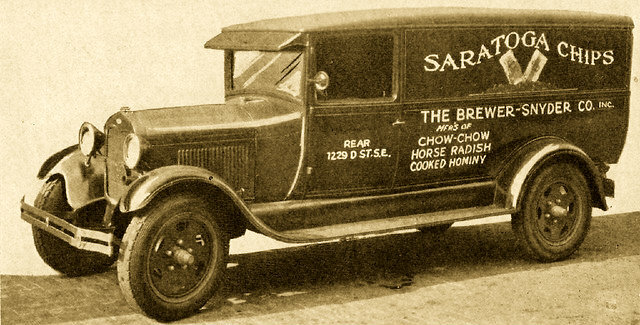 The chef called his creation Saratoga chips and thus was born the potato chip industry. via Looking back at the history of snack foods. This entry was posted in ART AND CULTURE and tagged food, nostalgia. Bookmark the permalink. ← The Great Pie a Recipe fit for a Queen.